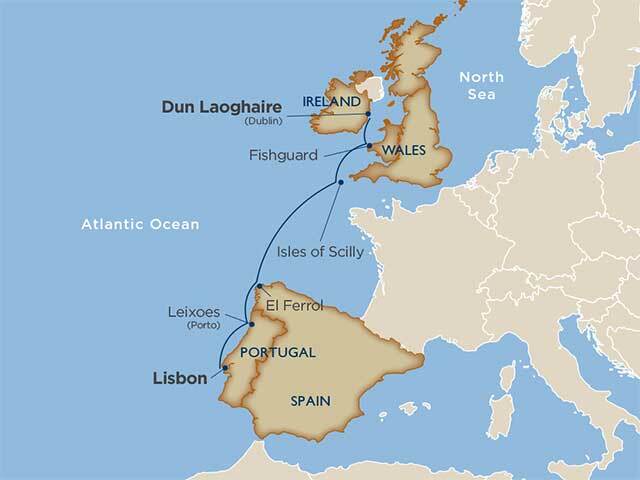 Experience the natural coastal splendors and the treasures of Europe’s lesser-known small ports on this 7-day cruise that winds along the coasts of Portugal, Spain, Britain, and Ireland. This memorable journey begins in Lisbon near the ivory medieval Belém Tower, one of the last friendly crenelated fortifications Portuguese explorers and seafarers glimpsed before sailing into the unknown during Portugal’s Age of Discovery. 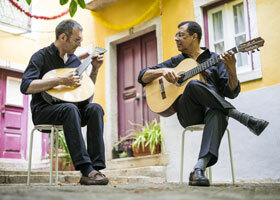 Spend the night in Porto and listen to the strumming of Old World mandolin-style guitarra portuguesas accompanied by folk vocalists during a Porto fado performance. Sip a nightcap of dark and smoky aged port or bright, white Vinho Verde. Sample spicy, fried tapas paired with bright, local dry white wines or robust blended Spanish reds in El Ferrol. 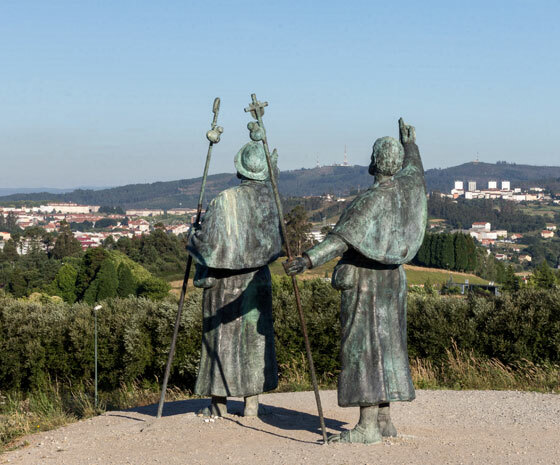 Follow painted and sculpted scallop shells to the steps of Santiago de Compostela, the ultimate goal of Christian pilgrims for over 1,000 years. Wander the quiet corners of Tresco Abbey Gardens, a 17-acre subtropical garden built on the 1,000-year-old ruins of a Benedictine Abbey. If maritime history is more your thing, take a stroll through the Valhalla Museum among the extensive array of old figureheads recovered from centuries of sailing and steamship shipwrecks. Before your cruise arrives and disembarks in Dublin, you’ll sweep past the rocky shores and green fields of Hook’s Head, and catch glimpses of rural settings that have changed little over scores of generations. Master the perfect pour after a tour of the Guinness Brewery in Dublin, or learn personal accounts of art, music, fashion, politics, and sports in interactive exhibits featuring former and current Irish citizens who have made lasting impressions on our contemporary world at EPIC, Dublin’s interactive and highly immersive museum on Irish emigration.